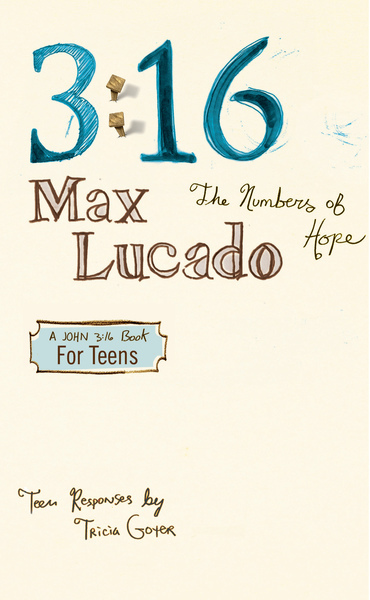 Based on the beloved verse of John 3:16, Max Lucado brings insight to help teens apply this important teaching to their lives. 3:16 is certain to be one of Max's most important titles ever. Max offers his unique and simple storytelling for this important message while Tricia Goyer writes teen responses to Max's message, guiding teens to fully understand how this verse can impact their lives. From confession to praise, these responses are sure to bring an insightful look into the personal faith of teens. Note: White silicone bracelet no longer available with this edition. To order bracelet seperately, use ISBN 9781400312634.